Welcome to Little Heroes Pediatric Dentistry! Welcome to Little Heroes Pediatric Dentistry, where your child’s first experience with their dentist is an empowering adventure. When your child becomes a Little Hero, they are equipped with the “super tools” they need to beat the elusive Sugarbugs. Little Heroes Pediatric Dentistry is the headquarters where our dental team, or sidekicks as we like to call them, helps Little Heroes in their mission to defeat the Sugarbugs. We have assembled a great team to help all Little Heroes in their quest to protect their teeth. The team started with the founding caped crusader Dr. Guzman, who discovered his “super powers” in Dental School and received special Pediatric training to help Little Heroes. Dr. Guzman searched far and wide and found several other caped crusaders who received the same special training. They also found help in the form of sidekicks, a great team that includes Heroic Hygienists, Super Dental Assistants, and Crusading Coordinators. Mission directors also lend a helping hand. They aren’t seen as often but play a crucial role in the fight against cavities. The team has unique skills and knowledge for using “super tools” and is united in one mission: to help all Little Heroes protect their teeth from the Sugarbugs. We are ready to be your sidekick. To help children learn how to battle the Sugarbugs, the Little Heroes team developed an animated storyline where children learn the game plan for victory. The Sugarbugs’ names are Plaki Plak, Gingi Gin and Cavity Creep. All three villains are depicted in battle scenes on comic strips that decorate our office. Before becoming empowered and going into combat, all Little Heroes receive a special tour of the Headquarters. This helps them understand how to build courage to eliminate the fears that used to be associated with a dental visit. The Headquarters soon feels like home and the tour also helps build the type of large-scale bravery and empowerment needed to defeat the Sugarbugs during treatment. 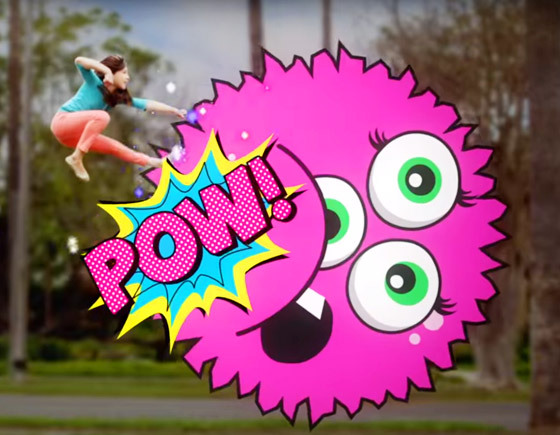 The Little Heroes sidekicks are trained professionals that have learned to fight plaque, gingivitis and cavities. Little Heroes learn about cavity prevention and dental care through missions and positive reinforcement. They even get to see what some have called state-of-the-art dental technology, like digital X-rays and special intraoral cameras. These tools help Little Heroes track down Sugarbugs trying to make a home within their teeth. The greatest superpowers that sidekicks have learned are imagination and roleplaying. Both help teach your Little Hero how to fend off cavities, plaque and gingivitis. We know how scary and stressful a visit to the dentist can be for anyone, but we approach it with the utmost care and kindness to help your Little Hero feel at ease and pull through with flying colors. The Little Heroes team helps your child boost their confidence with healthy smiles that, with proper care, can last a lifetime. At Little Heroes Pediatric Dentistry, we strive on excellence in pediatric dental care with a vision that focuses on a healthy future for your child. 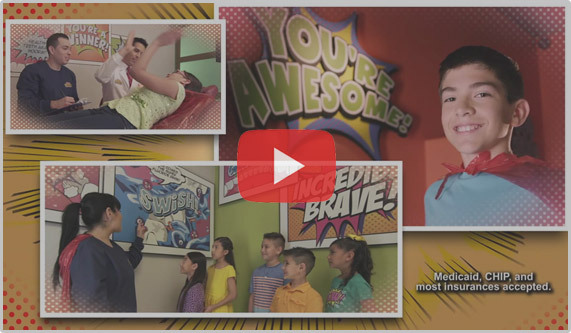 The Little Heroes concept was specifically designed to help children feel safe, comfortable, and empowered, while receiving dental treatment and learning to combat oral hygiene’s villains, the Sugarbugs. The Little Hero Family calls all South Texas Little Heroes to San Juan, Mission, and Laredo for an unforgettable dental adventure. Hadn’t taken my boy to a dentist since he was 2 because I was not allowed inside with him.. now he is 7 took him here and he loved it . He is actual looking forward to his next visit….. Very friendly and kid-oriented!! Although did have to wait because they did not call for xrays from referring dentist even though I brought referral with instructions 30 minutes before appt. We loved this place from the first time we went. This place has a super friendly staff and awesome doctors. Highly recommend!